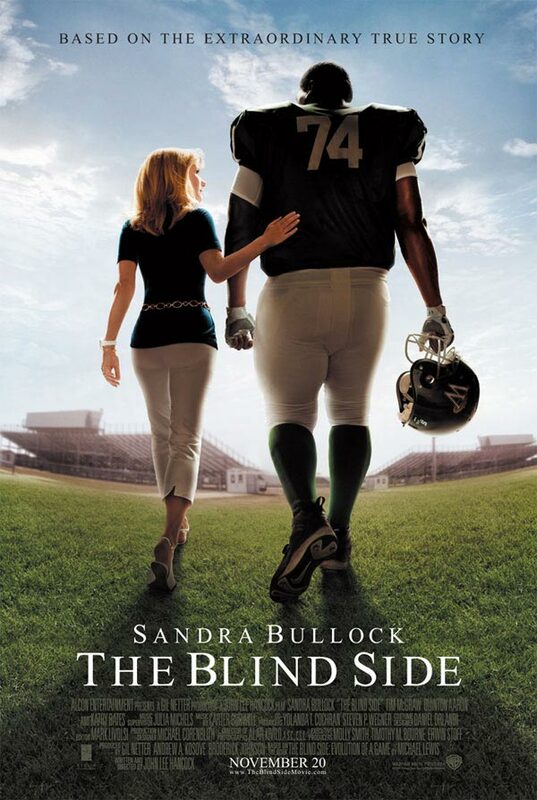 When it was released in November, I had very little interest in seeing The Blind Side. But then Sandra Bullock started winning all kinds of awards (including the Golden Globe, Critics’ Choice, and SAG) for her performance in the film, and she’s a sure shot to be nominated for an Oscar, so I kind of figured I had to see the movie just to see what all the fuss was about, and to find out if she’s really that good. In the wrong hands, this film could have been a maudlin white-person’s-guilt story about a rich white family in Memphis that takes in a poor black teenager from the other side of town and turns his life around. And at some points, Blind Side does play like a predictable Lifetime TV movie. But Bullock fights for this movie like her character fights for Michael Oher (the real-life kid who is now a player for the Baltimore Ravens football team), and the result is a movie that’s heartwarming and much better than it has any right to be. Is Bullock’s performance one of the year’s best? Possibly. But had this movie been released earlier in the year, I doubt we’d be talking about it now. Still, she makes The Blind Side worth seeing, and that’s why I’m giving the movie a B+.